A change in weather can take a toll on your hair, face and skin, especially in the winters. All of us need to be prepared with our share of beauty products to help keep skin soft, supple and glowing. Did you know that a lot of ingredients to combat winter problems can be found in our own homes? So here are some at-home remedies from around the web for a fun way to fix your dry and tired skin. SOLUTION: Besides making your hair shine and removing stains from your teeth, apple cider vinegar works in taming an itchy scalp. All you need is an empty spray bottle and some apple cider vinegar. 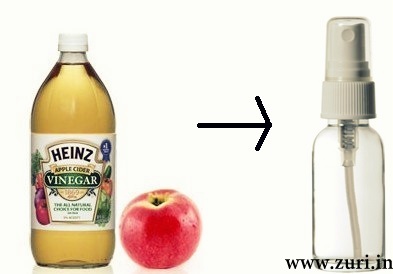 Spray hair with vinegar and massage (just like you would massage oil). Let the spray remain for 20 minutes and then rise and shampoo as usual. SOLUTION: Oats, honey and olive oil work wonders on a dry face. Oats help exfoliate while honey and olive oil add moisture. Prep the oatmeal using ½ cup warm water so it’s thick, then add ¼ cup honey and ¼ cup oil. Rub the mixture on your face in small circles. Let the mask sit for 10-15 minutes. Rinse with warm water and pat dry. Always apply moisturizer after. In case if you never ever wear a blush, now would be a good time to begin. Pick a cream blush in shades of pink or peach and blend on to the cheeks, tip of the nose and along your hairline. This will result in fresh looking skin and will surely perk you up. SOLUTION: We all tend to forget about our sad, brittle nails and cuticles that get torn up between cold air outdoors and hot air indoors by heaters. Make it a point to rub petroleum jelly onto your nails and nail beds before going to sleep. Also, increase your protein and calcium intake by taking supplements like Fish oil capsules, or by eating more fish or walnuts to give them a chance at a better life. SOLUTION: The most common winter problem that all of us face sometime in life! Half the battle is won if you increase your water intake. A great trick to keep lips soft is by running your toothbrush under some warm water, until the bristles soften. Then, gently brush your lips with the brush to remove dead and flaky skin. Liberally apply Vaseline. 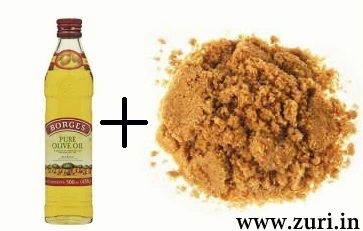 In case if you are not too comfortable using a tooth brush, try this scrub – Combine 1 tablespoon brown sugar and 1 tablespoon olive oil in a bowl. 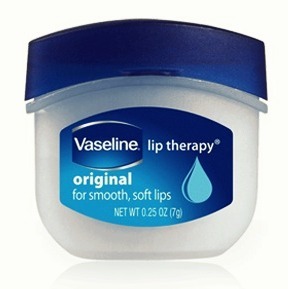 Apply mixture to lips, buffing dry skin in circular motion. Leave for 10 minutes and rinse with tepid water. SOLUTION: A great mask for dry hair can be obtained by mashing 2-3 bananas (depending on the length of your hair) in a blender or by hand with a fork. Once the mixture is smooth, add ½ cup of coconut milk and 1 tablespoon of honey. Apply and massage scalp in a circular motion. Cover with a shower cap and begin reading your favorite book for 20 minutes while the mask works it magic 🙂 Wash hair as usual. Shampoo hair less frequently — like, once in three days. And be gentle with it when it’s wet. If possible, cut out blow-drying, straightening, steaming and don’t brush them straight out of the shower. Condition heavily, and consider using a serum for some added moisture. The best product that works for your lovely strands is a tiny dash of extra virgin olive oil for that gorgeous shine and soft feel.